Food and Video Games are what we do. Wow, what a fantastic weekend! An old college roommate and his girlfriend ended up in town, so we had quite the staycation (and will be recovering for several more days to pay for it). We need to vicariously vacation through our friends more often! But first, our weekend started at the Honolulu Night Market. The Night Market is a monthly street festival with a wide variety of vendors, primarily clothing, art, and food… so much food! We had a fantastic time eating our way through it and ending the night at Honolulu Beerworks. Below is our evening in pictures! The night started with Hawaiian Twisted Taters. We got the combo, half bacon, garlic, cheese & ranch and half mayo with furikake. Next we moved on to my choice, sushi sliders! After that was Anthony’s choice, Guava Pork. And while he was in line, I snuck next door and got some Pop Pop Donuts 🙂 Half cinnamon sugar, half strawberry cheesecake. 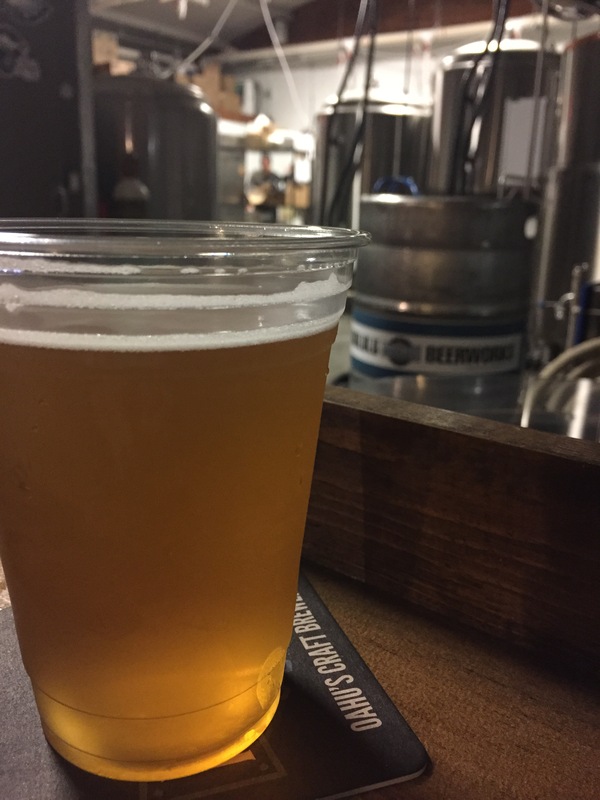 And finally, a trip to the Kaka’ako District wouldn’t be complete without a beer (or several) from Honolulu Beerworks. 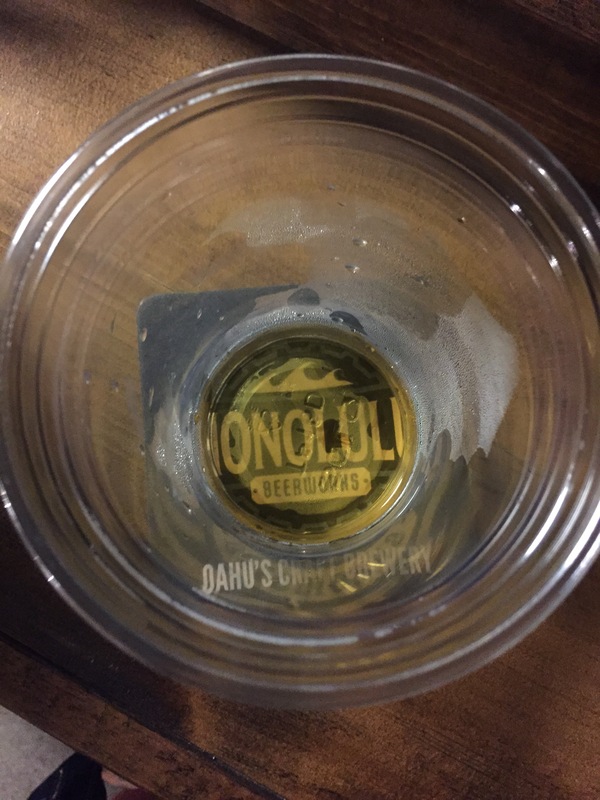 Pictured below is the Pia Mahi’ai Honey Citrus Saison. 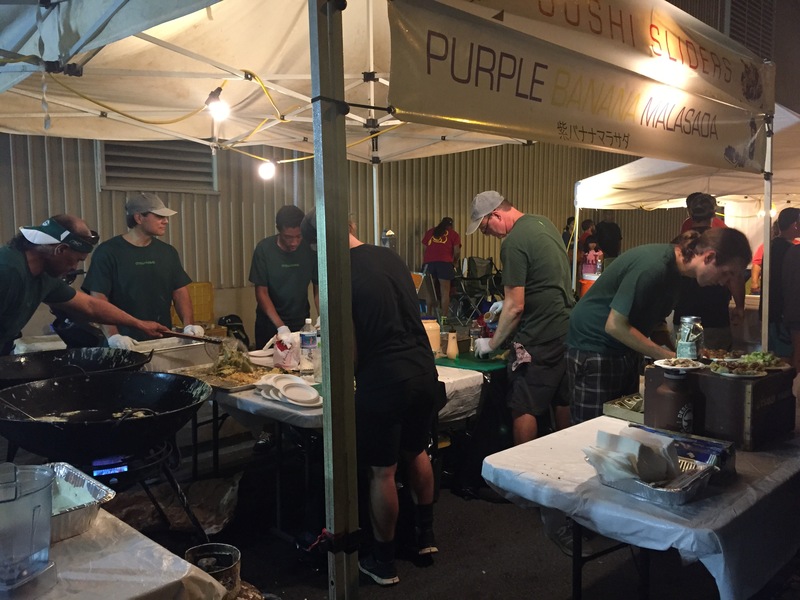 For more information on Honolulu Night Market, check out http://www.honolulunightmarket.com/. 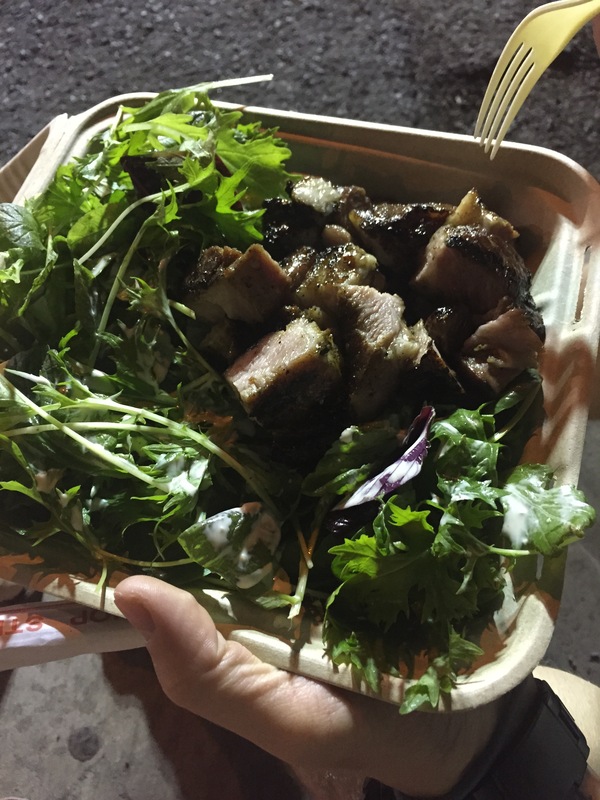 This entry was posted in Food, Reviews and tagged Aspen, Food, Food Trucks, Hawaii, Honolulu, Honolulu Night Market, Review. Bookmark the permalink.